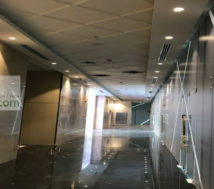 Modern shops for rent in Seef Bahrain (prime location). 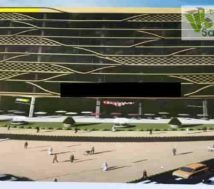 Shops for rent in Seef Bahrain. Large shops and small shops for rent. Shops rent in ground floor and upper floor. Minimum shop size is 62 square meters. Indeed, theses shops are in a new and large commercial center in Seef, which is with a nine floor tower. Moreover, these shops are in a prime location in Seef. There have shops for rent on the ground floor and first floor as well. Small shops rent in the size of 62 | 81 | 110 square meters and above. Whereas, the single units combine for a large showroom. The upper floors are renting for offices as well. 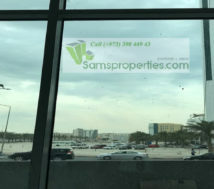 Shops rent in Seef prime location. Theses shops are in Seef prime location. That is to say that the shops are looking over to the main street and just side of the main road. In addition, theses shops are near the Bahrain Investment Center where all the investors are coming. 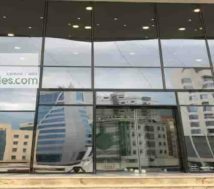 Certainly, it is a rare chance to get a shop to rent in this Seef commercial center and of course, all the visitors to Bahrain Seef should have to pass through in front of this tower as well. Bahrain Seef shop rent details. Obviously, the shop rent in Seef prime location is too high. 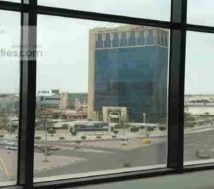 However, here the rent is just Bahrain Dinar 30 to 32 per square meter per month, which is indeed, a best offer as well. The rent is negotiable subject to the rental area and other terms. In conclusion, it is a good chance to rent a shop in this prime location in Seef. In addition, it is certain that your shop will get best public attention of all those people who comes to Bahrain Seef.